1) Please tell us about your book. 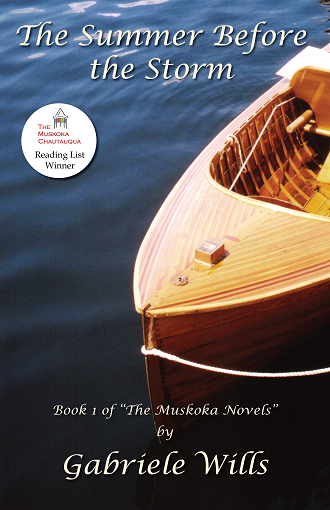 The Summer Before the Storm is the first in an epic trilogy that begins in 1914 in legendary Muskoka – the summer playground of the affluent and powerful in the rugged Canadian Shield. Amid the pristine, island-dotted lakes and pine-scented forests, the young and carefree amuse themselves with glittering balls and friendly competitions. This summer promises to be different when the destitute son of a disowned heir joins his wealthy family at their cottage on Wyndwood Island. Through Jack’s introduction into the privileged life of the aristocratic Wyndhams and their social circle, he seeks opportunities and alliances to better himself, including in his schemes, his beautiful and audacious cousin, Victoria. But their charmed lives begin to unravel with the onset of the Great War, in which many are destined to become part of the “lost generation”. You can get a sense of the setting and story on this YouTube trailer. 2) What got you interested in writing a book about World War I? 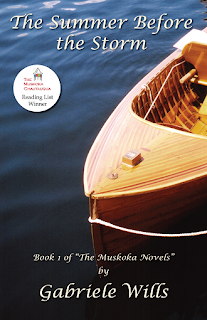 I wanted to evoke the unique lifestyle of Muskoka’s Age of Elegance, and the war provided a perfect counterpoint. People live more intensely and passionately in tumultuous times when death is unpredictable and unprecedented. I also wanted to highlight the lesser-known aspects of that war, especially women’s unsung contributions. They stepped from genteel drawing rooms into the horrors of makeshift hospitals and dangers of driving ambulances on the front lines – which are portrayed thoroughly in book 2, Elusive Dawn. It’s not so much a war story, as a tale about a generation tested by extraordinary times. 3) Please tell a bit about your main characters. 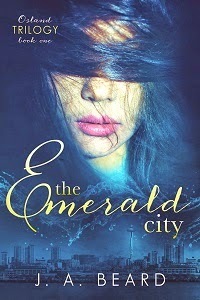 Victoria Wyndham is the feisty, tempestuous heroine who rebels against the stultifying restrictions of her Edwardian life. But she’s neither a suffragette nor a bluestocking, like her cousin Zoë. Mad cousin Phoebe has an uncanny knack of seeing and telling the truth, which others rarely appreciate. Their families are firmly ruled by Grandmother Augusta Wyndham, but charming, ambitious cousin Jack disrupts their complacent world. Augusta is determined that sensible Justin Carrington should marry Victoria, since he should be able to control her impetuous nature. Also vying for Victoria’s affections is charismatic Chas Thornton, who’s trying to find a path for himself in a self-indulgent world. Doctor siblings Blake and Eleanor Carlyle annoy Augusta with their socialism and middle-class sensibilities. The “downstairs” life is seen through the eyes of the parlour maid, Molly, who is not all that she appears. A supporting cast of friends and relatives – including artists and gold-diggers - helps to bring the era to life. 4) What sort of themes do you explore in your book? Love and betrayal in different guises – familial and romantic. The contrast between the rich and the poor, as seen through Jack’s experiences as well as through the servants’. There’s also the contrast between the free-spirited Bohemians and the chaperoned young people continually pushing for freedoms that scandalize their elders. Family dynamics are explored, exposing that things are not always as they seem. Some people are living lies, and many have secrets. Madness is brushed aside as immaturity. There’s also a great burden of duty to family as well as to country. This was a time of monumental change, particularly for women, who were invading “men’s realms”, seeking independence, and eager to “do their bit” for the war effort. Overcoming adversity is a challenge for many of the characters. Obviously the war provides trials both physical and psychological. The true impact of that cataclysm can be appreciated through the eyes of these individuals. 5) What sort of research did you do to help ensure you were accurately bringing the period to life? I really need to immerse myself in all aspects of an era, from food to philosophy. I read over 100 books, my favourites being memoirs and letters, in which there are intriguing details about daily life as well as the actual voices of the time, elucidating the language, morals, and values. They also provided incidents that I used for my characters. For instance, flying with top ace Billy Bishop and others helped me to understand the life of pilots, and the intensity of aerial battles. I was thrilled when Bishop’s son said I got it right! I visited museums and archives, WW1 battlefields and cemeteries, explored hundreds of websites, and joined three online war forums, where I asked experts about obscure facts I couldn’t find anywhere else. I’m particularly fascinated by odd and often unbelievable bits of social history. Notes at the end of my books assure readers that these quirky events are true. 6) Is there anything you feel people misunderstand about World War I? 7) Please tell us about your other works. Elusive Dawn (Book 2) and Under the Moon (Book 3) continue to follow the lives, loves, and fortunes of the Wyndhams and their friends through the war and the glittering Jazz Age. A Place to Call Home is a saga set in Canada’s less civilized pioneer past. Moon Hall is a Gothic tale of two women in different centuries. 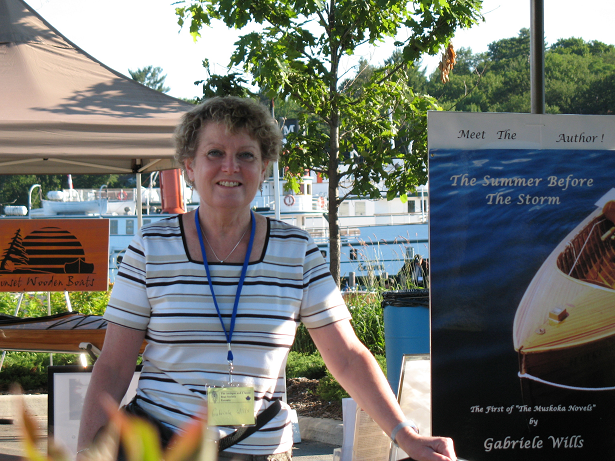 If you're interested in more from Gabriele or purchasing her novels, please visit http://www.themuskokanovels.com/. Release of "Call of the Empire"